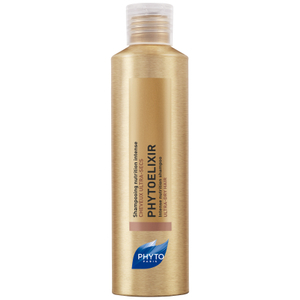 Phytoneutre is formulated to ensure that healthy hair keeps its equilibrium even with daily use. Its composition of Ferula, Witch Hazel, Sage, Eucalyptus and Chamomile provide the cleansing power with a gentleness that does not affect the natural texture of the hair. Removes any residue or build up on hair. 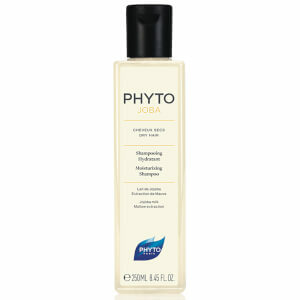 Tones, stimulates and purifies the scalp. Chamomile softens and moisturizes hair. Recommended for those with normal hair. Wet hair, squeeze shampoo (the size of a quarter) into the palm of your hand, apply to scalp and gently massage hair into lather. Rinse. Shampoo a second time but leave on 3-4 minutes. Rinse well. May be used every day. Sodium Laureth Sulfate, Cocamidopropyl Betaine, Cocamide Mipa (Dérivés D’huile De Coco), Glycol Stearate, Water / Aqua (Eau Purifiée), Sodium Cocoyl Hydrolyzed Wheat Protein, Eucalyptus Globulus Leaf Oil, Propylene Glycol, Salvia Officinalis (Sage) Leaf Extract (Sauge), Chamomilla Recutita (Matricaria) Flower Extract (Camomille), Ferula Assa Foetida Root Extract (Férula), Cochlearia Armoracia (Horseradish) Root Extract (Raifort), Hamamelis Virginiana (Witch Hazel) Extract (Hamamélis), Hypericum Perforatum Extract (Millepertuis), Disodium Undecylenamido Mea-Sulfosuccinate, Chlorophyllin Copper Complex / Ci 75810 (Dérivé De Chlorophylle). I was looking for a detox shampoo, however, one that would not dry my hair, since I have normal hair, and not oily scalp. I wanted something to detox and purify hair from pollution and other chemicals. Well, I found it!! This is a great product, I've been using it once a week, and results are great. Hair is beautiful, clean, shiny, and the wash lasts for about 3 days. The only con is the amount... it's expensive for the quantity... I used a hair mask after it, and my hair looked comercial like!! Thumbs up! !